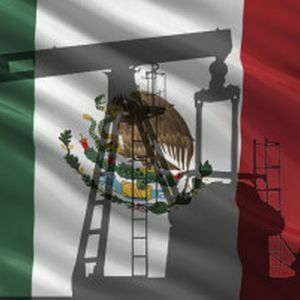 At least 50 companies dedicated to produce platforms and components for petroleum industry and gas are interested in investing in Mexico, as part of the opening given in the energy sector. “We can attract between 20, 30 or 50 manufacture companies to Mexico, especially to Tamaulipas and Nuevo León”, states Emilio Cadena Rubio, Factory Industry and Manufacture Exportations (INDEX) president. Emilio Cadena, explains that the approval of the Energy Reform and their secondary laws will urge the arrival of components construction and manufacture firms of the petroleum industry and gas. He recalls that in Los Angeles, California, there are 40 thousand manufacture businesses, which will assure a highest growth on the production of platforms components and petroleum exploration. “We are talking of several manufacture companies in different cities and that is important for Mexico. We are expecting for the secondary laws of the legal modification”, spoke. The manufacture industry, factory and exportation services generates more than 2 million 256,000 direct jobs and more than 6 million 768 indirect work sources. In 2013, it was registered 5,049 establishments.